Getting out and about and enjoying the great outdoors is good for all of us, but it is important to remember that there are some natural elements out there, and in our homes or workplaces that can cause damage and sometimes serious skin problems. Our skin is an important protective layer, and nature is not always as kind as we might imagine. So while we enjoy our outdoor experiences and our home relaxation, it is important to remember the damage the sun can cause and the links between eczema and hard water. Below, we answer your questions about 4 key natural elements that can cause serious skin problems. How can the sun cause serious skin problems? The impact of the sun on our skin is well documented but, all too often, we ignore advice and fail to take action to prevent the risks of serious skin problems such as skin cancer and sunburn. With a sensible level of exposure, sunlight can be good for us. We need sunlight to help our skin manufacture vitamin D, which is necessary for bone strength and formation, but it’s the overexposure to ultraviolet light that can be detrimental and cause serious skin problems. Sunburn causes permanent damage to skin cells and often kills them, without these cells we expose our skin to problems and repeated overexposure to ultraviolet sunrays is the main cause of skin cancer. Sunlight is especially damaging between mid morning and mid afternoon, and people with low levels of melanin, which darkens the skin, are particularly susceptible to serious skin problems caused by the sun. 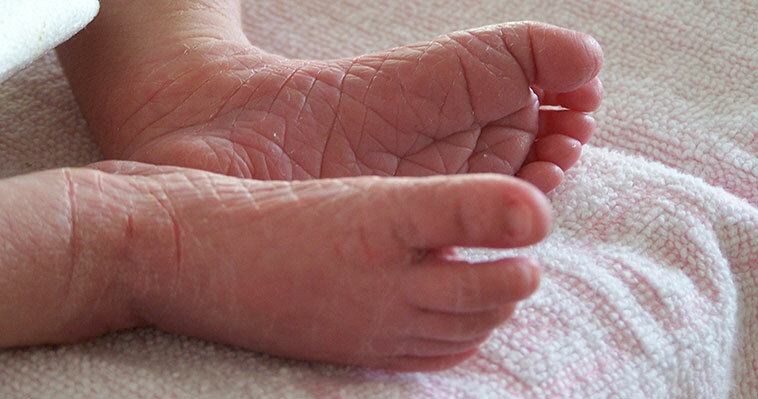 What are the links between eczema and hard water? It is difficult to believe, isn’t it, that there is a link between where you live and the likelihood of you suffering from eczema, but scientists from the University of Sheffield and King’s College London have conducted research that shows a significant relationship between eczema and hard water. This study has demonstrated that washing with hard water can damage the skin barrier and expose skin to such risk factors as bacteria or even sunburn. Hard water can cause damage to any type of skin, but for those with a genetic susceptibility to eczema, continuing washing with hard water can cause serious skin problems and exacerbate eczema symptoms. The link between eczema and hard water is brought about because of the negative reaction of the calcium and magnesium ions in water and the protein filaggrin, which is an important part of the skin’s natural barrier. In the UK one in five children and one in twelve adults experience the serious skin problems caused by eczema and scientists are currently particularly interested in the links between eczema and hard water for very young children as new skin, in the first months of life, is especially susceptible to damage. Eczema and hard water don’t just cause problems at home. 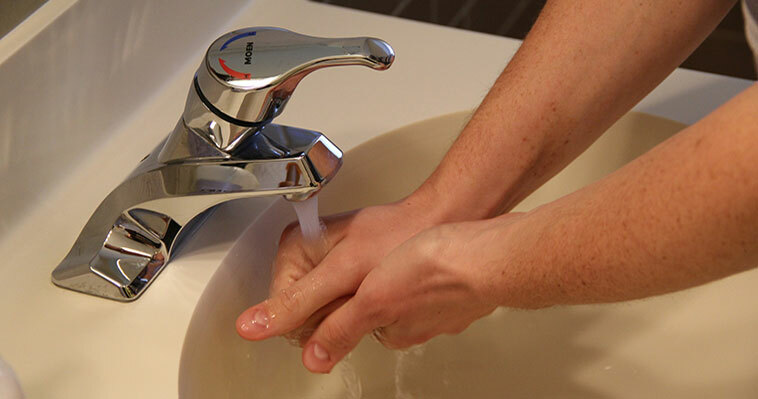 15% of workers who suffer from eczema miss a worrying 16 or more days of work a year and hard water in the workplace is just as much to blame as hard water at home. Employers in hard water areas, who are concerned about the health and safety of their workforce should consider installing a water treatment system. Why does dry skin cause winter rashes? Cold weather can be great fun, especially if you enjoy being outside but drops in temperature can cause a loss of moisture levels in the skin and lead to some serious skin problems. Winter rashes are caused by dry skin and symptoms can include redness, itchiness, flaky skin, sensitive skin, and swelling. These often occur on the face, legs, arms, or hands but can be widespread across the body. People with particularly sensitive skin or conditions such as eczema, dermatitis, allergies, asthma, and rosacea are more likely to contract a winter rash. Weather conditions; including wind, cold air, and low humidity all remove moisture from your skin. The effect of these outdoor conditions is exacerbated by over warm heating and hot baths or showers, especially with deodorised or antibacterial soaps. Hard water and sunburn, for example from skiing, can also be a causative factor in winter rashes. 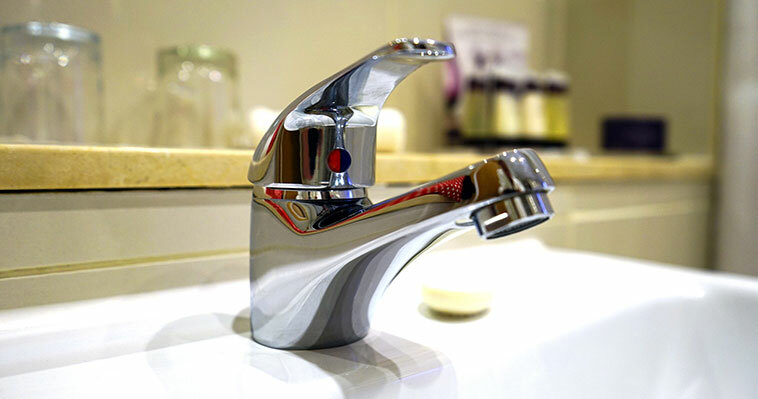 Which other serious skin problems are linked to hard water? Hard water occurs in certain areas of the UK, you will know if you have it because you will notice problems with getting soaps and cleaners to lather, scum marks on dishes and surfaces, and clothes that feel rough after washing. As if these irritating situations aren’t enough, hard water can also cause serious skin problems. The main problem with hard water and health is that the calcium and magnesium minerals it contains all have a drying effect on the skin. These minerals can dry on the skin and react with soap to form unwelcome salts, all of which can result in blocked pores and flakiness or itching. Hard water has been linked with acne, vulnerability to harmful ultraviolet sunrays, dry skin issues such as dermatitis and psoriasis. How can we protect ourselves against serious skin problems?